Even in times of crisis, Americans have a better life than most countries in the world, in all respects. Just glance over to the life of the Christians in the Middle East, and you’ll realize the blessings we enjoy every day. Most of us have a job, a house, a car or two, enough food, education, equal opportunity, religious freedom to name just a few. Practically we shouldn’t be in want for anything; yet, every tenth person is longing for something, is missing something so bad, so important, that they cannot cope with this need on their own. This explains the usage of drugs; with them, the negative aspects of life can be more easily coped with. They are a crutch that helps people move along with their lives for a short while. But a crutch is still a crutch; it can only take one so far. 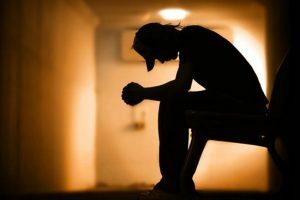 The depressed man needs a different cure, one that will take care of the root of his problems, will erase his desperation and offer him a new lease on life. A cure, however, cannot come without the understanding of the underlying disease. So, this begs a question: why is America depressed? What are we still missing in the abundance that surrounds us? A short answer is: we miss God. We may think we miss something else, we can justify our depression by creating some imaginary needs, but at the end of the day, we miss Him. He has created us for a purpose: union with Him unto eternity. Losing sight of this, we lose it all and, in our shortsightedness, we keep longing for something we don’t know we have lost. It all goes back to who we are, what are we doing here and where we are going; it is back to the basics. In the midst of the information revolution, the world wide web and the boom of technology, man still yearns for the same fundamental things: purpose and direction. The secular society can’t give him either. The purpose is temporary, ceasing to exist when life expires, and the directions one gets are so contradictory that they end up canceling themselves. So man is confused, lost and at the brink of despair. He is thirsty, but there is no well of life, he is hungry but there is no food for his eternal soul, he is lonely and he has no man. So as Christians we keep our minds in hell and we despair not, but courageously give glory to God in all things, even in pain, hoping, always hoping, in our Savior, the only One who can take us out of the brink of despair and set us for a new life in Him. In Him we put our hope, in Him we find our purpose, and on Him we set our goal. 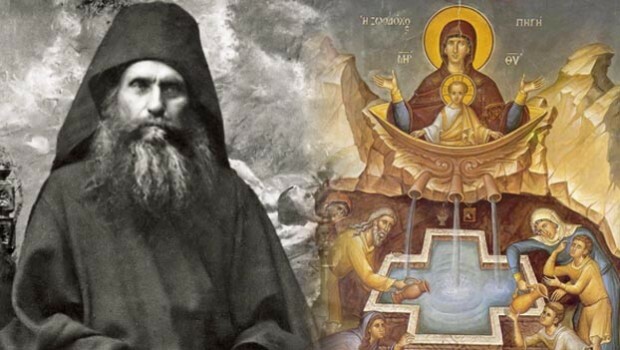 Through the intercessions of our Father among the Saints Silouan the Athonite, through the prayers of Fr. Sophrony of Essex, of all the ascetic Fathers and all the saints, O Lord of compassion and hope, have mercy on us and save us!